Orbotix have designed and created a unique robot in the shape of a ball that can be controlled by any smartphone. The original prototype was created in June and development since then has now tweaked the design into a full production model. Orbotix have also created API’s so that iOS or Android developers can now write games or apps to interact ball and produce some very unique games. Watch the video after the jump to get a better idea of size and how the Sphero is controlled using the accelerometers in a smartphone. 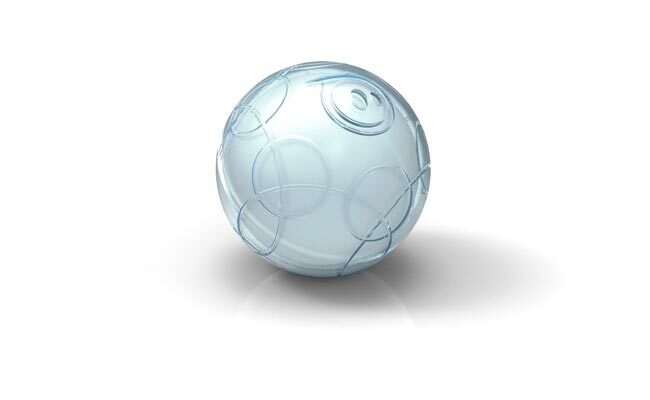 The Sphero and smartphone connect via Bluetooth and it measure 74mm in diameter, the final creation will be showcased at next years CES in January.